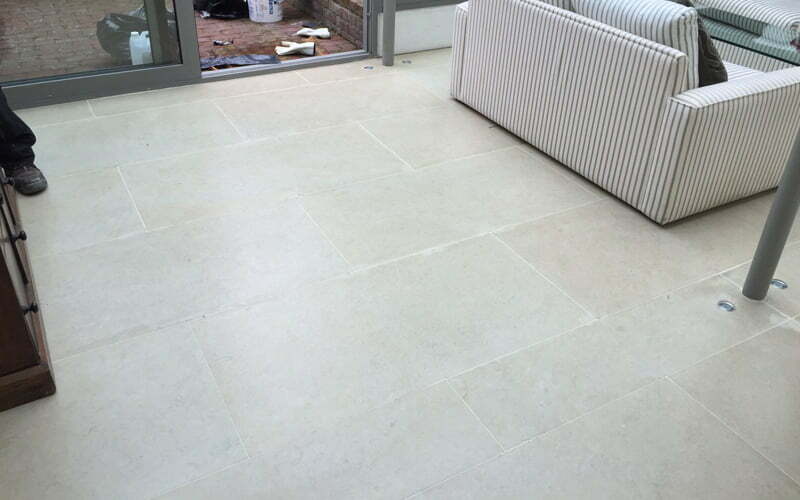 We recently completed a restoration on a beautiful limestone floor in a home in Ballsbridge. As it was damaged, the client had considered ripping it up and replacing it with some other flooring solution. 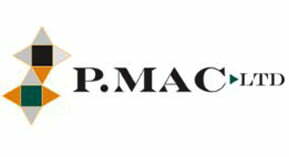 Fortunately, their builder – who knew our reputation for restoring marble and stone floors – suggested they contact us for our opinion before taking such drastic action! 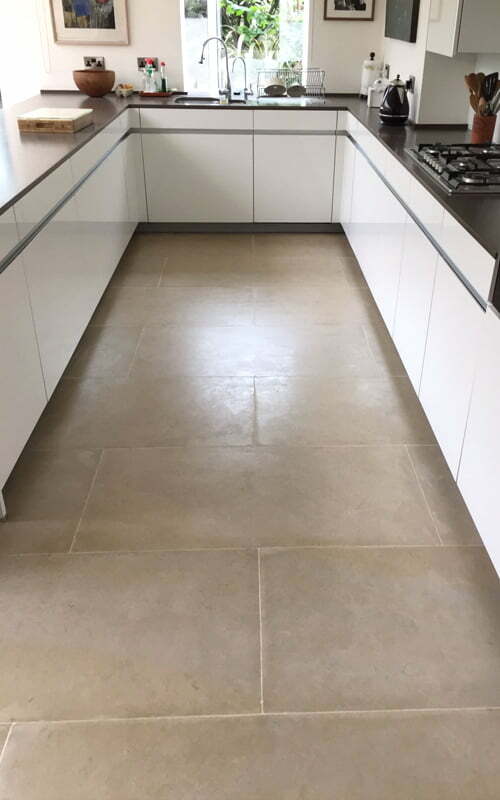 This particular client had their limestone floor laid about 5 years ago, but in a fairly short period of time the tiles had deteriorated significantly. There was movement under the tiles, and this had led to cracks and chips appearing, particularly around the grout joints. The grout itself had become loose and brittle. As time went, on the situation had deteriorated. Why is my grout loose? If the grout between your tiles is loose and flaking, or even falling out, there are two possible causes. The most common reason for grout becoming dislodged is there is movement in the sub-floor. If this is the case, tiles can be repaired and re-pointed, but unless the cause of the problem can be remedied there is a chance it will happen again. The second reason for this happening is where the tiles were incorrectly laid in the first place. This is known in the trade as blobbing. 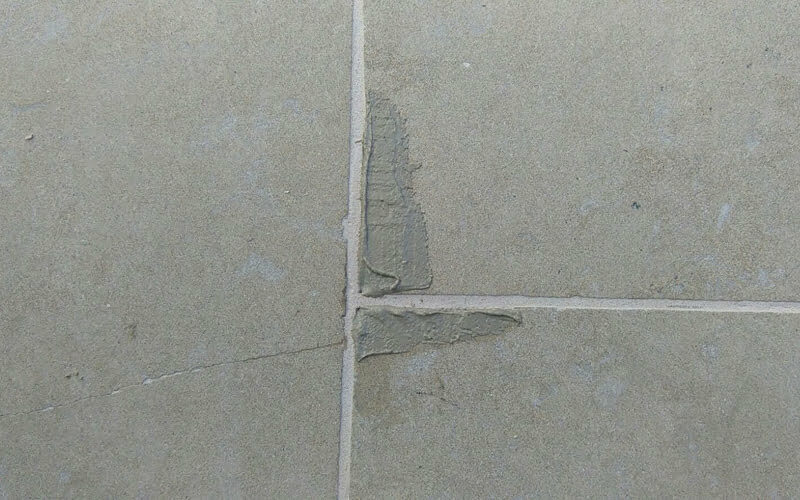 This happens if the adhesive was not spread evenly on the tile during fixing, but just blobbed on in patches. This will leave voids under the tiles, which will eventually cause the tiles to move. 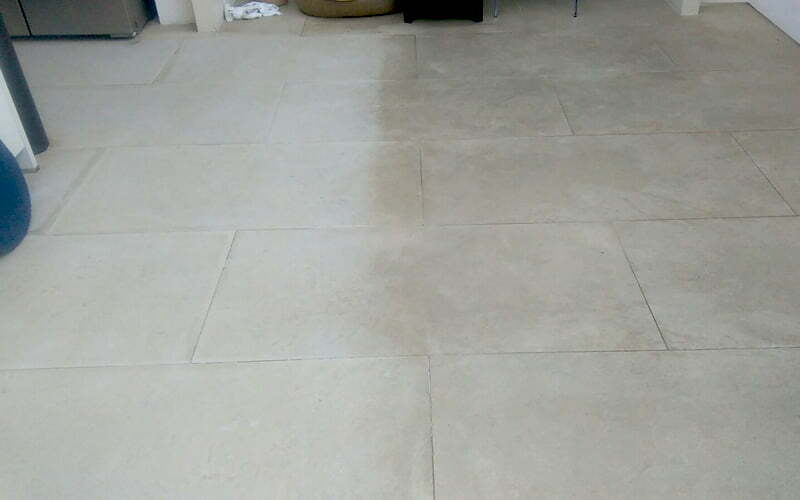 On top of all the problems our client was having with the floor, the limestone looked dirty and grimy, and no amount of cleaning seemed to bring them back. This is a good indication that the tiles were never sealed, or the seal had worn down. Stone floors need to be sealed in order to help prevent spills seeping into the stone. If there is no seal present, contamination will seep directly into the stone and stains will sit underneath the surface. The only way to remove these is to re-hone the stone (essentially, this means sanding the stone down to remove staining). The limestone floor also looked etched, which probably happened when harsh chemicals were used trying to clean it. This, of course, gets you into a vicious circle: the harder it is to clean your limestone, marble or stone floor, the more you’re inclined to go at it with harsh chemicals! However, the chemicals found in regular kitchen cleaning products – such as Flash, Bleach, Cif, and Civic Bang – actually have the effect of burning off the surface coat of your stone and making it look worse. Never use chemicals on a limestone, marble or stone floor, use only a pH neutral stone soap and water. 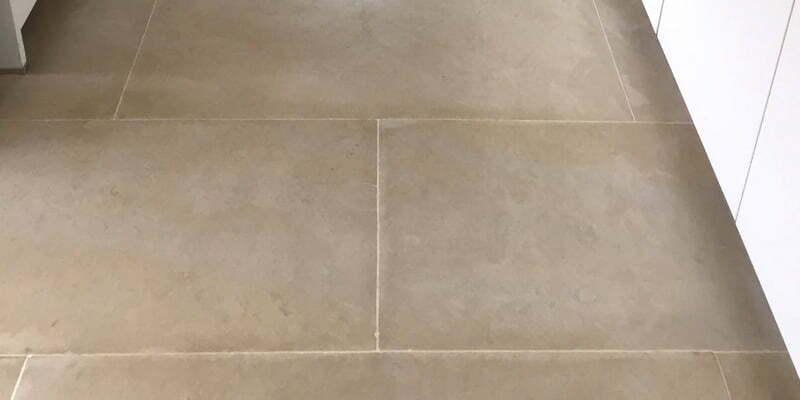 To restore the natural lustre of the limestone floor and re-point the grout joints was a very straightforward job for us. We did, however, need to get to the root of the problem before we could proceed with this. We carried out a hammer test on the floor in order to locate the source of the problem. The hammer test identified voids under the tiles – a hollow sound confirmed that we were indeed dealing with limestone blobbing. We advised the client that instead of replacing the floor (which would be a very costly decision) we could stiffen up the floor and return it to its original splendour. This is a procedure that takes approximately one week to complete. 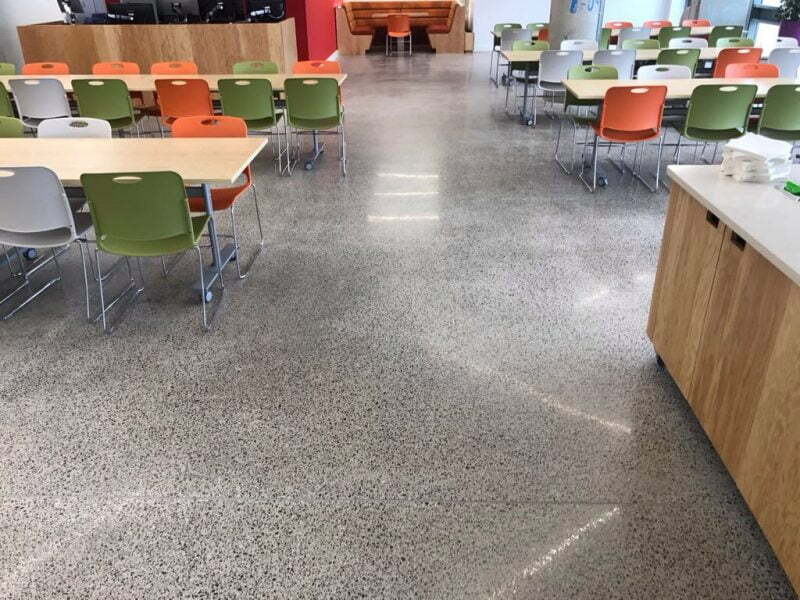 The client was delighted and gave us the go-ahead – meaning we could restore the floor for a mere fraction of the price it would cost to replace it. Our initial task was to identify the voids and mark them. We did this by using our hammer test, marking the hollows as we went. 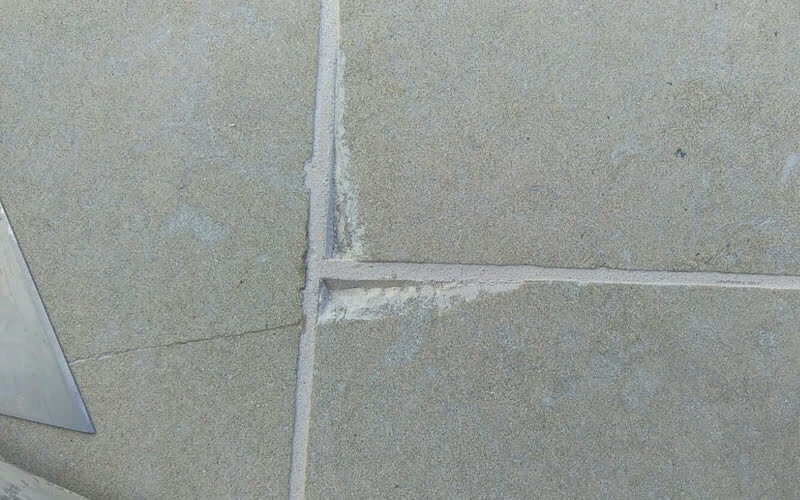 Once the voids were identified, we drilled a hole in the grout joint where two tiles meet, as this is the largest gap. The holes were then injected with a specifically designed product to fill the voids. This product is fluid and this method allows it to find its own level. Pressure is then applied and the void is filled, thus stiffening your limestone floor. The product was allowed to dry overnight and we repeated the hammer test to ensure the floor was completely tightened up and solid. We repaired the cracks and chips in the limestone using resin and dust shaved off from the limestone. All loose grout was raked out, replaced and re-pointed with matching grout. Once all repair work was carried out on the floor, we proceeded to clean it up. We stripped off any old seals, then cleaned and polished the floors using our special scrubbing machines. Once completely dry, we sealed the limestone floors with a satin sealer. The client was delighted with the results, the floor now looks like new and this time it will not move. With the correct maintenance plan, the floor will not need to be re-sealed for another two to three years. The moral of the story? 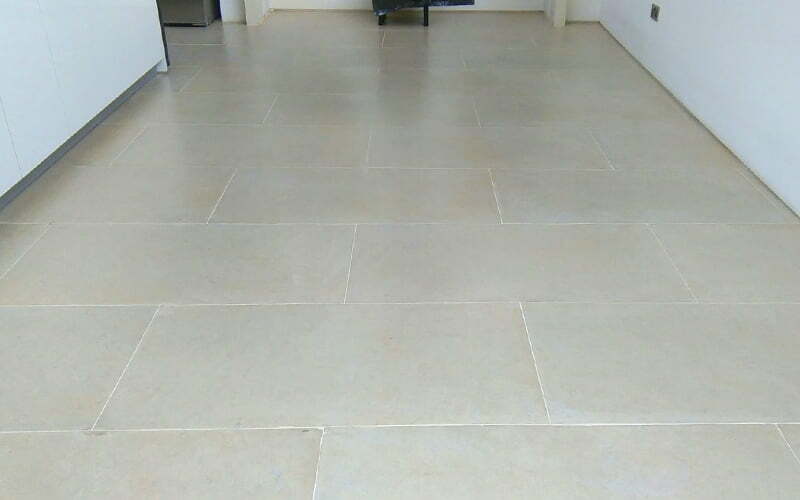 Ensure you employ a reputable and experienced tiler when entrusting them the task of laying your limestone, marble or natural stone floor! The finished floor looks stunning!